The patronite form of vanadium sulfide (VS4) is synthesized successfully via facile hydrothermal method using ammonium metavanadate and thioacetamideas starting materials at suitable temperature. The expected compounds are characterized by X-ray powder diffraction (XRD) and scanning electron microscopy (SEM) techniques. The electrochemical properties of the expected compounds are tested. The conversion mechanism of VS4 during the lithium intercalation–deintercalation process and the lithium ion diffusion coefficient of VS4 are discussed also. 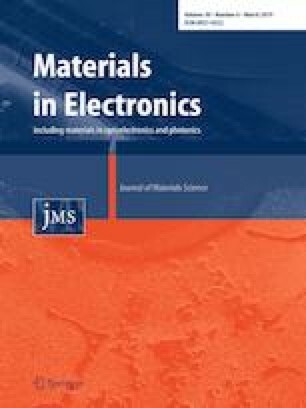 The results indicated that the sphere-like VS4 sample synthesized at 160 °C exhibited best electrochemical performances (such as higher reversible specific capacity, better cycling stability, and larger lithium ion diffusion coefficient) among all samples. The VS4 obtained by hydrothermal method at 160 °C may be a promising anode material for lithium ion batteries.